Let There Be Books! | Let There Be Books! I came over all ‘booky’ recently and got the urge to make something nice. I had a few sheets of blank paper salvaged from very old books destined for the bin that were yellowed and speckled, and decided to use these as a starting point without any real idea of what I was going to do with them. As it was, I decided to make two books, much smaller than I usually make (page size 95 x 55mm) and set about cutting down to size. Once the pages were cut to 11 x 95 mm, they were carefully folded and creased using the bonefolder. I ended up with eight 3-piece signatures in total. Using a pre-measured template I marked points on the inside crease of each signature to make sure they were all in line. And they were pierced using a scratch awl. I can’t justify the expense of buying a proper bookmaking bodkin yet, so this will do the job just fine. The signatures were sewn together over two strips of cotton tape, which will provide much of the strength between the book and it’s cover. The signatures were secured with a kettle stitch at the end of each row. Hey presto! Here is the first book sewn together and tied off. The second one looked just the same. Any slack in the sewing was tightened with a loop that pulls the stitches above the tapes together. Endpapers were then measured and cut, and glued along the folded edge about 5mm. These are then stuck to either side of the book and put under some pressure. I’m using a couple of bits of MDF and a G-clamp as a lying press. Crude, but it does the job. Both books are in here now. A light brushing of glue is applied down the spine. Not too much as I don’t want it seeping down in-between the pages, but enough to soften the paper. The spines are then vigorously rubbed down with the bonefolder. This flattens the spine to give a better surface for the spine strengthening materials and prevents further glueing from seeping into the book. Once a sheet of scrim is positioned over the spine, more glue is applied, followed by strips of card which are heavily burnished for maximum adhesion. Then it’s on with a few small weights and left overnight to dry fully. Once the measurements for the cover have been established, they are drawn on to cover paper. I have decided to use a smooth black stock for both covers as I intend to add detail later. Liberally glued, working from the centre out towards the edges. I was shown this great trick to keep the work area clean. Place a magazine in front of you, with the spine towards you. Open the first page and fold right over so that it hangs down onto your lap. Every time you glue something up, you can just lift up the work, flip over the sheet and you have a clean one to continue with. The gluey page is folded over to meet the first one, keeping the glue away from your clothes/furniture/children! Three pieces of greyboard are positioned onto the glued up cover paper, leaving gaps between the covers and spine strip for the folds. The corners need a good nip to make sure they are neat. And the whole thing is given a good burnish with the bonefolder. The last part is to flip over the cover and run the bonefolder into the gaps on either side of the spine to create a ‘French groove.’ Both covers went under a heavy book for the night. Meanwhile, I began to prepare for the decoration on the covers. If you are a regular here, you will already know that I have recently purchased some wood type blocks and I decided to put these to first use. In order to print anything from these I needed to make some sort of frame to hold everything in position. Proper printers would use a forme for this job; a wooden or metal frame, that is filled out with blocks and holds everything in place. I don’t have one of those yet, so it’s Blue Peter time! 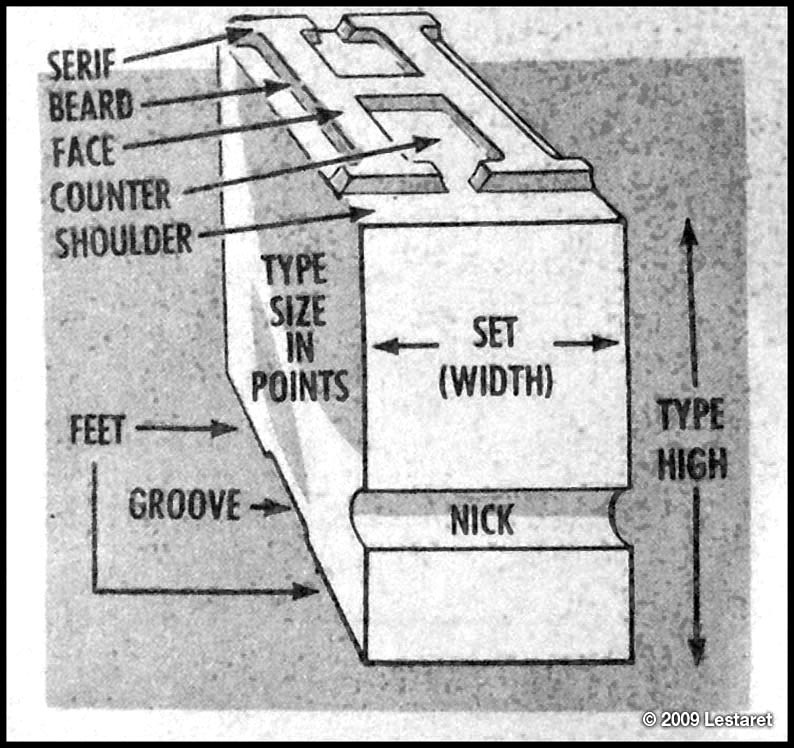 I constructed a raised platform out of scrap greyboard to just below the level of the beard of the printing face of the type, with markings and a stop edge for lining up against. Sounds simple, but I did a lot of measuring for this! I did a few tests on some spare postcards left over from the typeswears project. When I was happy that I had inked up properly – remember that this was the first time I had printed with the wood type on my press and I was using a makeshift frame to keep everything in place) I began printing the two covers. These were going to be whatever quality they were going to be – I had only made two covers so had no room for error. I guess if it all goes pear shaped I can still make a couple more covers, but I like the personal challenge of setting restrictions for myself like this. The first print (above) was a little uneven; heavily impressed at the top and broken at the bottom. The second print was still heavily impressed at the top but had a more even print all the way down. Out of the two covers, I prefer the first print that has the broken ink at the bottom. It has a grittier, more aggressive feel and looks a little more ‘handmade.’ Looking at the two covers now, after a few hours drying, I am pleased with the results: my frame appears to have worked well for this, although I was a little too heavy on the pressure, which is something I need to practice on another time, perhaps when I get a proper forme and I can really play with the wood type. Overnight for these to dry and I’ll unite them to the book blocks. It’s monday evening now and the covers are dry. First I’ll trim the tape and scrim to make things a little neater. Then it’s a coat of glue over the tapes, scrim and the outer page of the endpaper on one side. I use a scrap of magazine paper under the endpaper to absorb any drips or runoff – it’s always a good idea to have a little supply of these to hand, and always screw them up and dispose of them immediatly after use – there is nothing worse than putting a sheet of gluey paper into your book by mistake as you only find out when it has glued the book shut! After pre-folding the covers, the book block is carefully positioned up against the spine. The glued page is held up by my thumb as shown above and the cover is brought over and pressed into place. A quick visual check that it is in the right place, then it’s turned over and glued up on the other side the same way. I place a piece of greaseproof paper in between the endpapers of both books to absorb any excess glue that may be squeezed out when the books are put into the press, which is where they are off to now. I’ll go get them in the morning! There will be more pictures of the finshed books later this week, as well as an opportunity to win one of them! Keep coming back! They are tiny – far too fiddly for my patience! I really like how the woodblock type has come out! Book of Lies. Reads like a Tony Blair auto-biography! Nice work Mr. Lestaret. Perhaps you should address the balance and release a sequel ‘Truth’ (and maybe a prequel ‘Ignorance’). Thanks for the compliments! But really Christian, surely the ‘Book of Lies’ could be the tagline for any political autobiography!!! This is brilliant Chris, especially the embossing quality; all the presses I have worked with recently have been far too old and delicate to emboss with unfortunately. Also would you mind if I used a few of your images of the books you have made, in my research, obviously I would credit you and even link to your blog, just thought it would be polite to ask first? No problem Aaron. Glad you like the books – don’t forget to enter the competition to win one!